The existing CPO cost structure experience by local industry player may reduce their competitiveness in the global market against Indonesia producer as well as other either oil industries, primarily soybean. 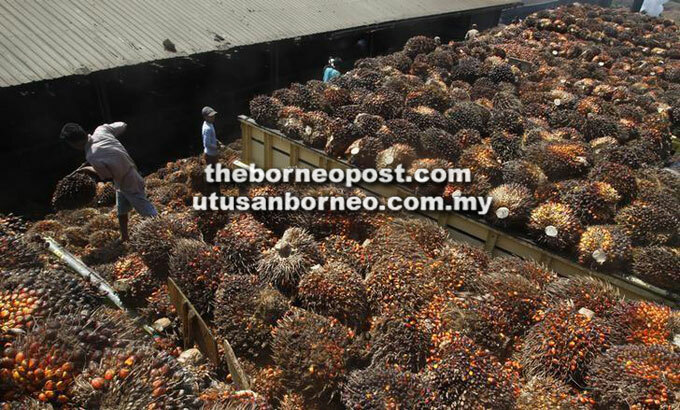 KUCHING: The palm oil industry continues to experience a tough cost structure, analysts said, which may hamper the industry’s performance entering 2019. MIDF Amanah Investment Bank Bhd (MIDF Research) said the existing crude palm oil (CPO) cost structure experience by local industry player may reduce their competitiveness in the global market against Indonesia producer as well as other either oil industries, primarily soybean. This includes Malaysian Palm Oil Board’s (MPOB) cess of RM11 per metric tonne (MT) for CPO and crude palm kernel oil (CPKO), MPOB price stabilisation tax of RM2 per MT for CPO and CPKO and windfall profit levy of 15 and seven per cent should palm oil prices go above RM2,500 and RM3,000 in Peninsular Malaysia and Sabah and Sarawak respectively. “Coupled with the cost needed to fulfil RSPO and MPSO requirement, the cost structure borne by the local CPO producers may lead to sustainability issue,” it said in a 2019 Outlook report. The impact of this was seen as palm oil players exhibited poor performance so far in 2018, caused by a drop in CPO prices. Public Investment Bank Bhd (Public Invest Research) saw that Malaysia’s CPO futures started with a solid note around RM2,500 per MT and traded slightly lower in the first five months. Since then, CPO prices drifted downwards, falling from RM,2400 per MT to as low as RM2,100 per MT level, dropping more than 13 per cent. The CPO price performance in November captured the most attention as it fell below the psychological level of RM2,000 per MT for the first time since August 2015. It is also one of the biggest monthly drops in history, tumbling eight per cent month on month (m-o-m) to RM1,743, while CPO futures fell to a three-year low of RM1,972 per MT. “The weaker CPO spot price indicates that the current pessimism on the ground is more worrying than what market has expected,” it said in its sector outlook. “Based on the current poor spot prices, we suspect some small and inefficient plantation players are already suffering losses. Following this, PublicInvest Research said plantation millers would likely be more stringent in accepting FFB from outsiders while players with tight cash flows might also reduce the fertiliser applications. Such conditions could discourage the small planters from harvesting their fruits, it added, leading to slower growth in palm oil production in the future. Meanwhile, MIDF Research said the absence of a Malaysian Sustainable Palm Oil (MSPO) standard would put plantation companies at a disadvantage. This comes as Malaysian plantation players experienced various attacks from the Europe, namely, non-governmental organizations, activists and environmental friendly groups thereby affecting palm oil demand from Europe, which is the world’s third largest consumer. To note, the MSPO standard has been made mandatory by the end of 2019. This is applicable to plantation companies which already have RSPO certification. Note that as at October 2018, a total of 1.26 million hectares across Malaysia is MSPO-certified. This makes up 21.7 per cent of total area planted with oil palms. “The MSPO gives a competitive edge in exports especially in environmentally sensitive markets such as the European Union, the United States and Australia,” MIDF Research said. “Thus, the absence of MSPO would put plantation companies at a disadvantage. However, the cost of maintaining both the Roundtable on Sustainable Palm Oil (RSPO) and MSPO certifications could potentially lower the earnings of plantation companies.